Read our interview with CherryBee Boutique! “I started my jewellery business just over 20 years ago, when I first arrived in Canada. Choosing to live rurally, I want to be self-employed. I began by selling my wares at farmers’ markets and craft shows. In 2001, after running our local arts festival for a couple of years, I spearheaded and managed the opening of a retail shop in our small hometown, an outlet for local arts and crafts including my jewellery. “My business name was inspired by my bee signature, and because I live in a beautiful place called Cherryville. Bees are such special creatures, tirelessly doing their good work which they share with the world. The meaning of my name, Debra, is bee – hence Debbee. I created my bee signature many years ago, the idea being that I am sharing love as I do my work. “When I started out, all of my designs were beaded using components that I purchased and collected from beading and crystal retail shops. In 2004, I attended a silver-smithing workshop. I really enjoyed it and learned so much. It gave me the skills to start making my own findings for my beaded designs, as well creating new designs in silver. I did learn how to set stones, but find my most enjoyment in soldering classic shapes into simple, funky/chic designs. “I am very blessed with a vivid imagination. Many designs have come to me in dreams (as did my bee logo). My first original design was of an anklet with bells. It was very popular at the farmers’ markets and I realized that to make them in every size and colour would turn over more of them, which it did! I just love production work! I find beading for hours on end so relaxing, as it satisfies my need to be productive while doing something that I love – playing with sparkly beads! My first memory of creating jewellery is making daisy chains, when I was about six years old. I remember sitting in our back garden in London, England, where short daisies grow in the grass, making a slit in a stem and threading it threw with another stem. 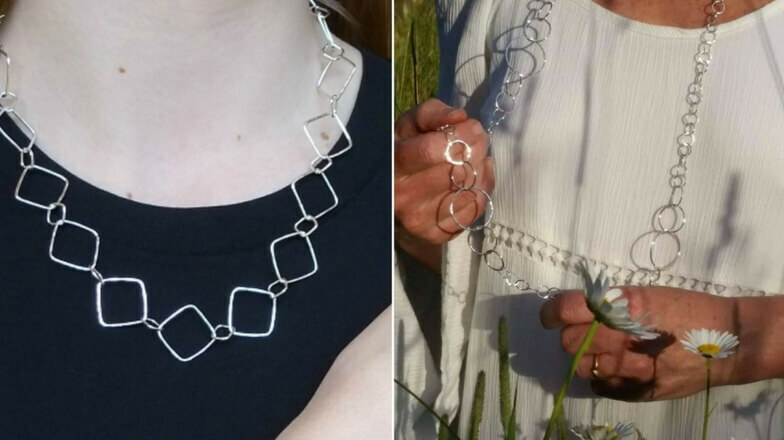 I now make a range of designs called “Daisy Chains”. “Learning to live with minimal money, with a “build it and they will come” attitude; growing food, baking bread, living simply. There was no need for motivation as this was the lifestyle I was choosing to live for my health and happiness, after many personal trials and tribulations. “I had customers immediately, and find joy in every single sale – no matter how small or large they are all equally significant to me. The customers feel the love. I am not a salesperson, and have never “sold” a thing in my life. It’s simply my pleasure to be privileged enough to be able to make things that sell, then happily assist a customer when they come to me, giving the best service that I can. It’s taken me a few years to get going with my online boutique. I looked at all the ways I could build it, which online providers I could use, and how it would be presented. I didn’t like any that I researched, especially any that would require my customers to be a member. Then last year, I Googled something like “build online store”. 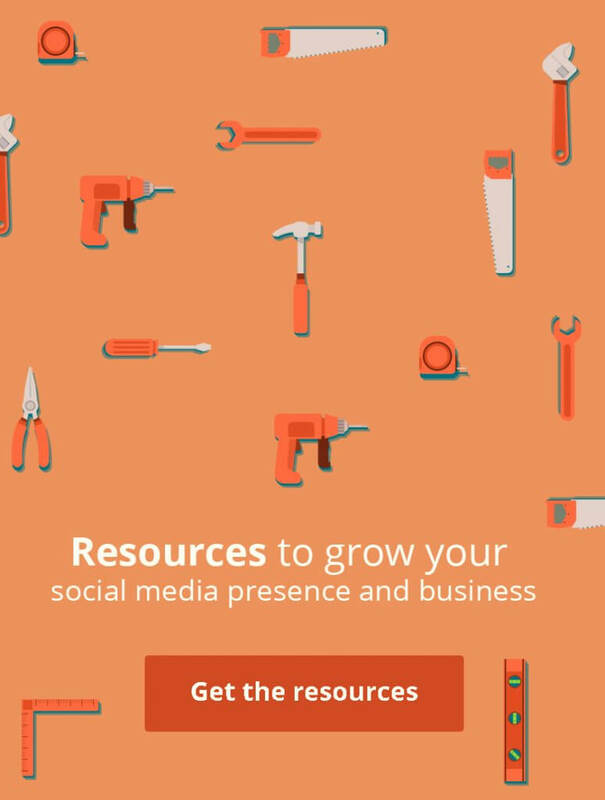 I wanted to find a simple, affordable service that I could use to attach a shop to my own website. I found a story about Shoptsie (now called Soldigo) and its creators, and how they started up. I really liked what I read and checked it out. I could tell very quickly that Soldigo was exactly what I was looking for – simple to use and very flexible, including the ability to sync with my Facebook business page. I have been particularly impressed with the outstanding level of technical support. While learning the programme it was so handy to get quick answers to my questions, and solutions to any problems. Adding my products to my Soldigo boutique have inspired me to go to the next level in growing my CherryBee business. Any advice for entrepreneurs that are starting out just now? ← Read about Soldigo on Crafty Fever!